A journey into my homebrew enterprise. But I have unpacked it all - truth be told it was because we bought a new fridge, it meant I could repurpose the old one to become a fermentation fridge. No longer will I need to babysit the fermented and put icepacks around it when it gets too hot. Also my new neighbors are into brewing and have brought over a couple of beers that they have made and I feel guilty just consuming without reciprocating. 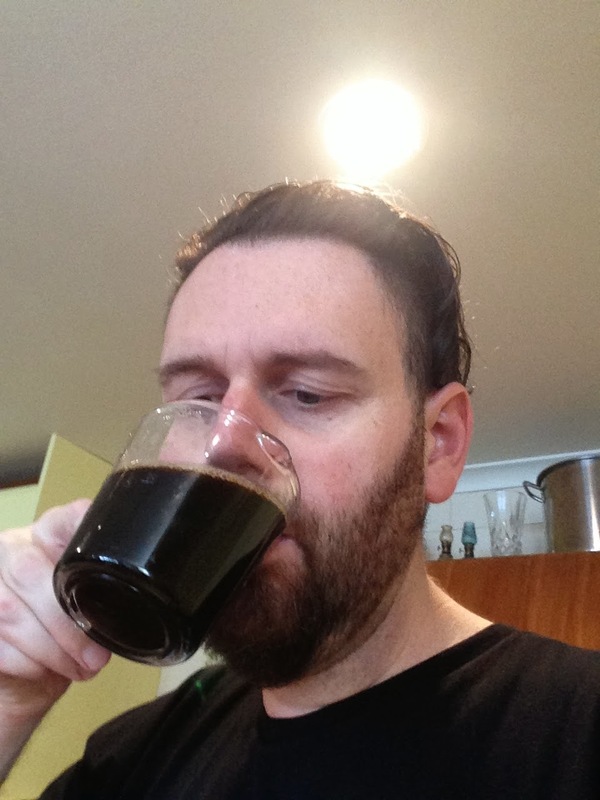 I have also been reading about no chill hot cube brewing. One of the things that never felt right about moving to all grain brewing was the chilling process using immersion/counter flow/heat exchanger and wasting a huge amount of water. 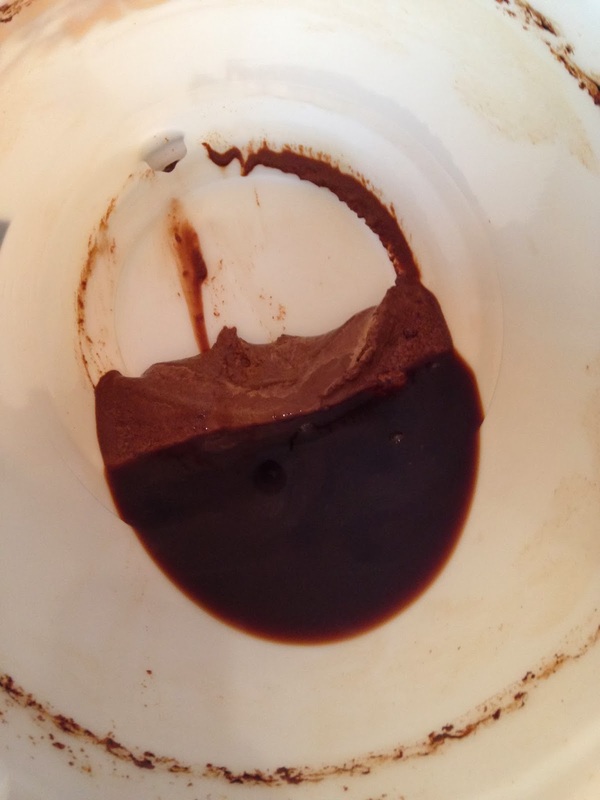 This method lets you leave the wort to come down to yeast pitching temperature naturally over a few days, then you continue as normal. Am looking forward to giving that a go. 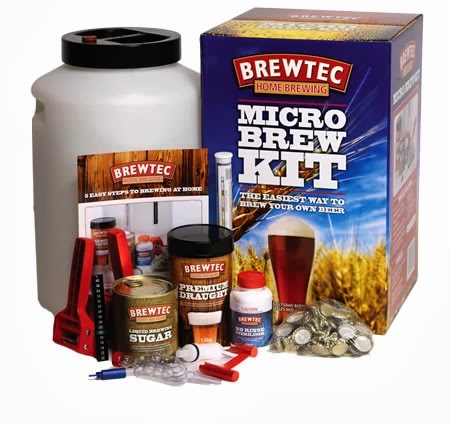 But didn't want to get ahead of myself and decided to start with something easy - just a extract kit brew (with a bit of dry hopping). Need to remember what I am supposed to be doing before venturing out and trying something like an all grain BIAB. Picked up a limited edition Grapefruit IPA and a packet of Pure Malt that was onsale at an online store as being summer, Grapefruit IPA sounded pretty good. Now 24 hr later when I checked on the beer in the new fermentation fridge it is doing absolutely nothing. 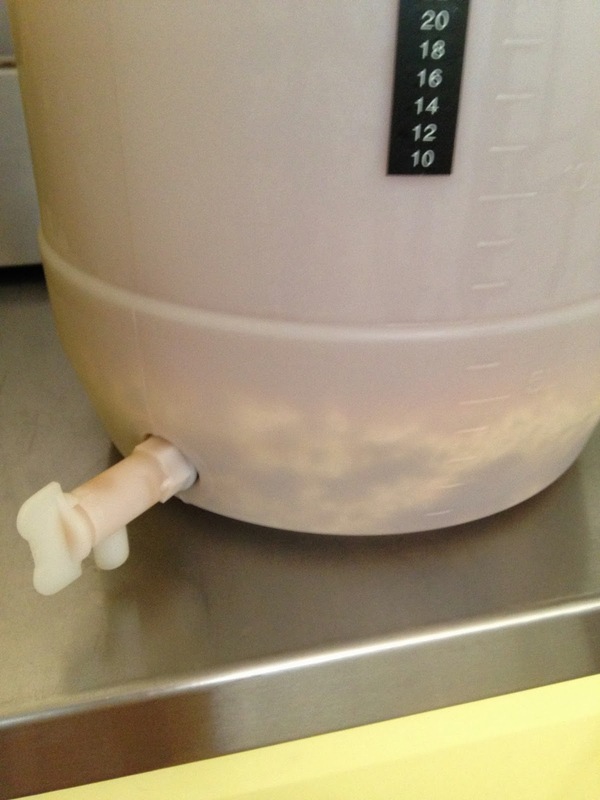 No happy bubbling of the fermentation lock. No foaming head. Nothing. So despite the fact it has only been in the bottle less than a week, I chucked a stubbie in in the fridge and tried the still unnamed Rhubarb Wit, and it is great. A slightly sour beer without the months/years of aging and introduction of weird wild yeasts (Brettanomyces‎) or bacterias (Lactobacillus). Either way it is a result! 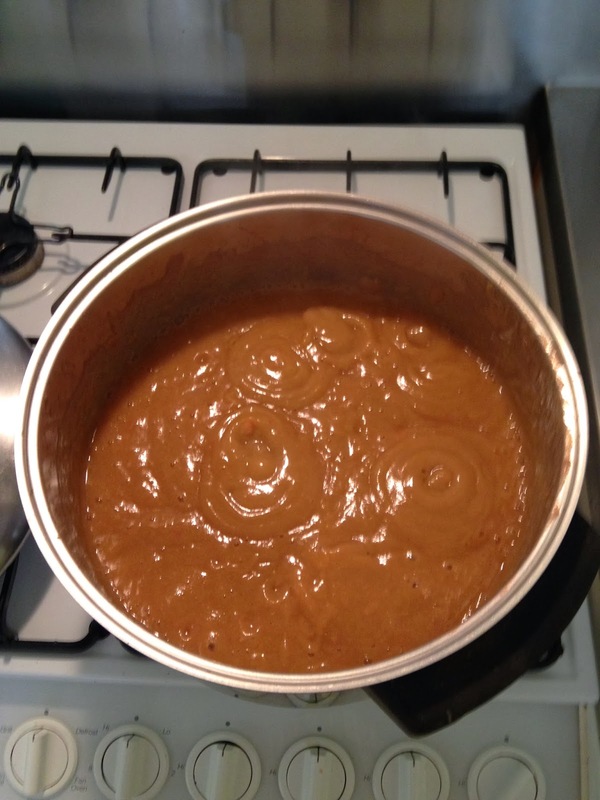 So after two weeks in the fermentor I crash cooled for a couple of days and racked off the beer from the yeast cake and mess of rhubarb at the bottom of the barrel - and proceeded to make a new mess in the secondary fermentor by adding the remaining rhubarb pulp. 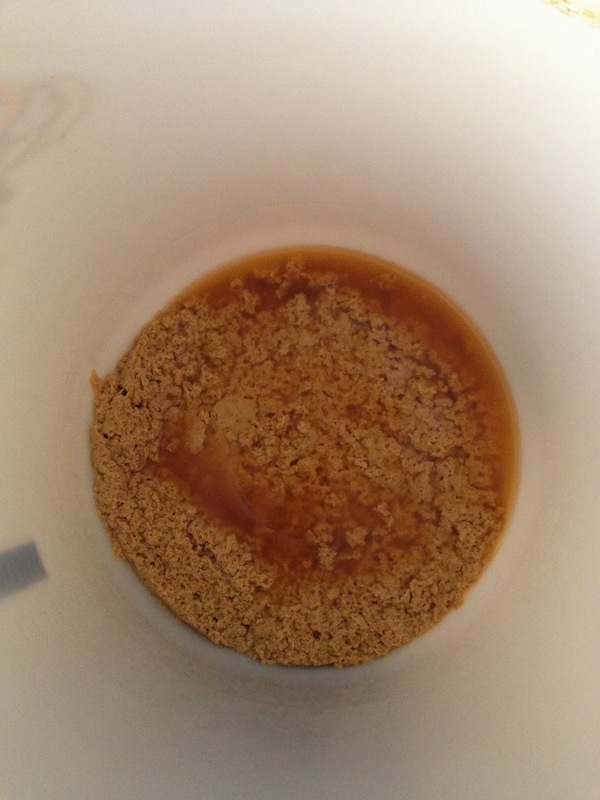 The beer got another week in the secondary with the pulp and another few days of crash cooling before bottling. Bottle cleaning was made easier by the addition of a Vinator Bottle Washer (which I now wish I had ordered online rather than being gouged buying locally!). All the bottles were recycled, mostly 750ml plastic bottles from Catrina and a pile of plastic Tui bottles (don't ask about the Tui, lets just say that this is the only beer available if you go and watch Cricket in Wellington) along with a handful of glass bottles. The glass bottles are slightly interesting. The 4 x 650ml bottles got 2 teaspoons of Strawberry Liquor added at priming, while the 5 x 500ml bottles got dosed with half a teaspoon of Pomegranate Molasses (in addition to the priming sugar). 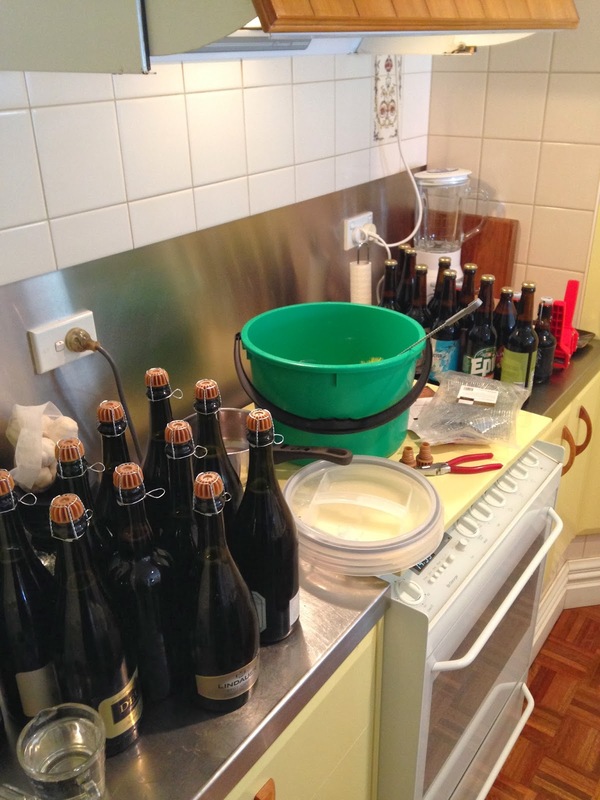 Sorry, totally forgot to take any photos while bottling - never quite enough hands. 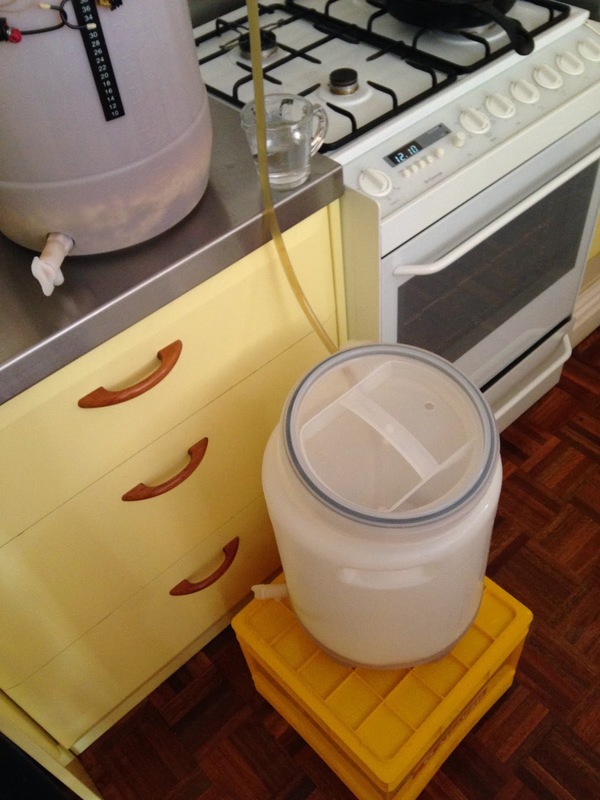 This looks like the most economical brew so far, despite the increase to the equipment costs. I really might have to start taking out my time as it makes the beer look really expensive! 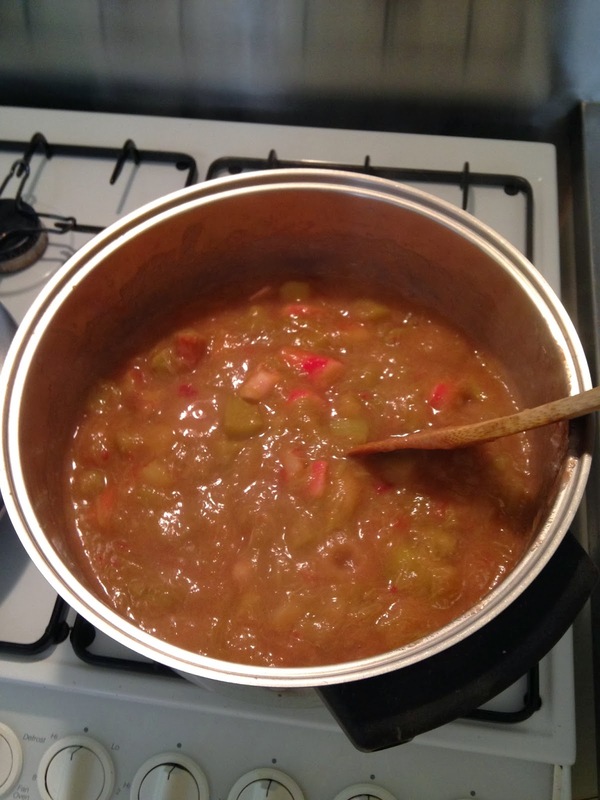 Another brew day, another weird beer - this time not inspired by one of Pete's creations! 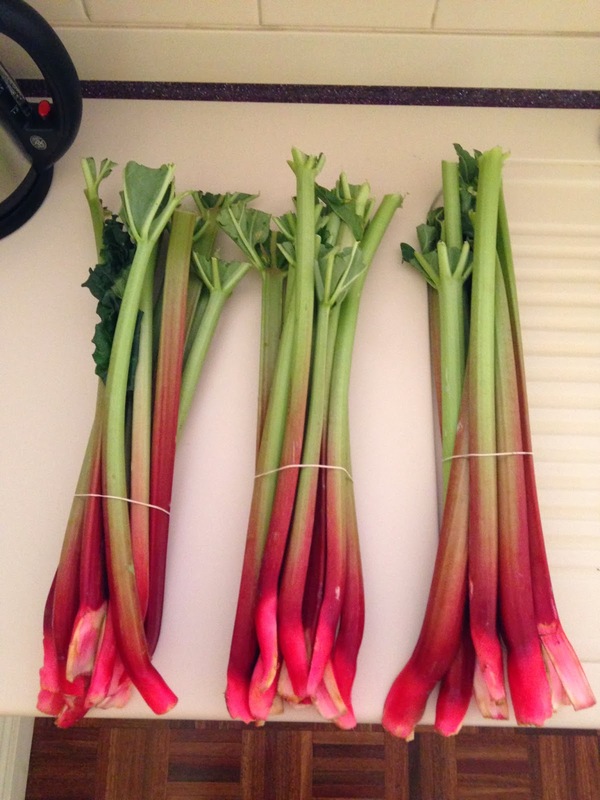 Picked up a WilliamsWarn Wheat and a Black Rock Wheat LME to turn my rhubarb into a Rhubarb Wit. 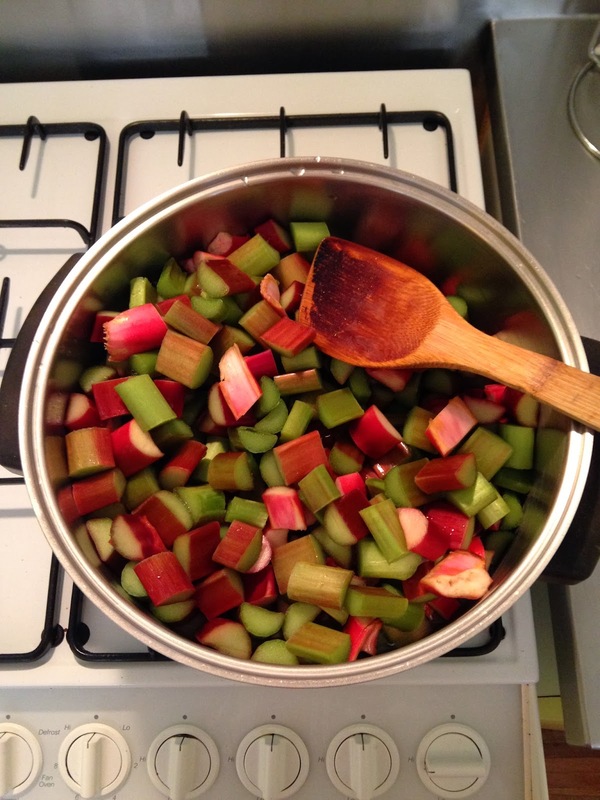 Started by chopping up the 2.1kg of rhubarb and boiling with 3 cups of water until soft, then blitzed it with a stick blender to turn it into a thick pink sludge. 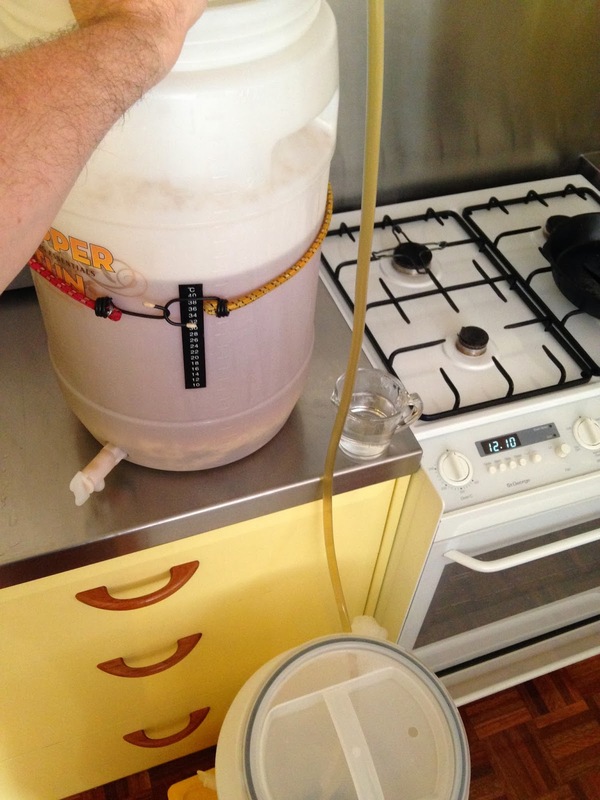 The fermenter has been cold crashing in the fridge for the past week while I was in Australia, and I was due in the Manawatu on Saturday afternoon so I had a window of opportunity Saturday morning to bottle. I wish I had gotten up earlier. You would think I would have learnt after the first bottling experience that it is not a quick process - and really should not be rushed. I of course rushed. First stop was at The Brew House to get some plastic corks and cages - rather than using plastic 750ml bottles, I have been collecting the wife's discarded champagne bottles along with the usual empties that I generate (purely in the name of research of course). 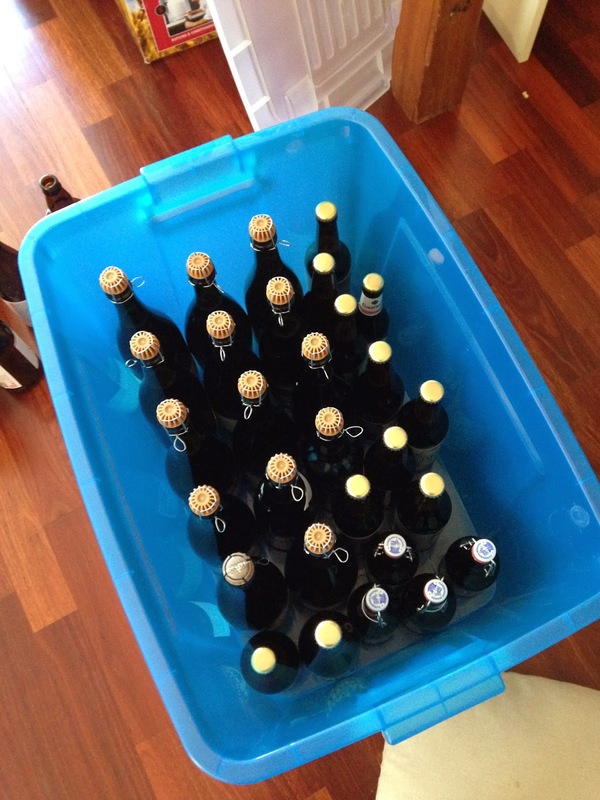 Because the plan is to cellar the stout I am hoping that glass bottles will keep the beer better. I then grabbed some more canned cherries from the supermarket. I was hoping to find some cherry extract or syrup but I kind of ran out of time. The syrup from the canned cherries will be added to the priming sugar to hopefully give a bit more of a cherry hit. Because of the crap generated from the chocolate syrup and the pureed cherries in the fermentor covering the tap I ended up picking up a auto-syphon and syphoning the beer from the fermentor into the Brewtec fermentor and bottling from that. I primed with 36g of table sugar and 30g of chocolate syrup (dissolved in boiling water and let cool) and the syrup from the two cans of cherries. I am a bit paranoid after how over carbonated 'Catrina Neue' is so I used a priming calculator and selected a low carbonation level as I couldn't factor in the sugar from the cherry and chocolate. The only problem that I encountered after all the cleaning was it turns out not all champagne bottles are created equal. By equal I mean with the same neck diameter. Even after softening the plastic corks in boiling water there were two bottles that I couldn't get a cork into (and I tried, I have two munted corks as proof). I do have a slight concern that there is the chance that if the beer is not carbonated enough, there is no way those corks are going to come out again! The final yield was just over 17l, meaning I lost 3l. I know where about 500ml went (I consumed it un carbonated while bottling - quality control), but the rest must have gone to the hydrometer testing, trub and bottling process. So this weekend was the first time that anyone outside my self and my wife had tried Catrina Neue. I took a couple of bottles up to my wife's mums to share on Saturday night and shared a bottle with my neighbours sitting in the sun on Sunday evening. The real test will be when I share with some home brewing, beer nerd friends. They will tell me exactly what they think of it! So I am trying to decide if it is an investment or just another waste of money in this flight of fancy.